Mt Ramelau Archives » Tekee Media Inc.
Ros is going to Timor Leste in July to continue work on the recording of the Traditional Music of Timor Leste. The Tekee Tokee Music Project has good examples of Traditional Music from 10 of the 13 districts now. In August of 2007 the ABC did a feature program on the traditional Music in a program “A Musical Tais”, produced by Robyn Ravlich. Therese Virtue of Boite in Melbourne and Thursday’s Children (a choir) were impressed by the program and have made a generous donation so that the project can continue to record the traditional music of the remaining districts. The recordings this trip will be from the Bobonaro and Liquica districts of Timor Leste, it will no doubt be an interesting trip full of anecdotes and adventure. We shall keep you posted. 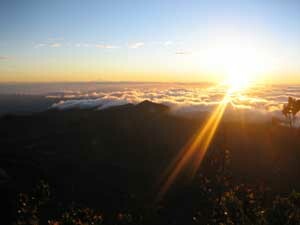 The photos below are from the previous recording trip which was in the Mt. 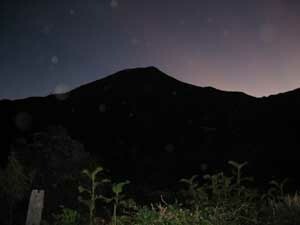 Ramelau region of Timor, with photos of a small village near Hatobiliko (at the foot of Mt Ramelau) and from Mount Ramelau itself. 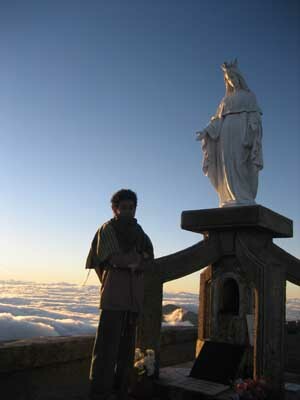 It is not a difficult ascent to the summit, but if you leave before dawn (the night photo is a silouette of Mt Ramelau) spectacular views of all of Timor can be seen from the summit of the mountain, the Statue of The Virgin Mary was carried up the mountain by the Timorese, at the top of the Mountain it is freezing cold and usually a strong wind blows!